Location: Union Quay, Cork (access from Anglesea Street only). Time: from 8.45pm for a 9.15pm start. Ends 9.45pm approx. Create and the National Sculpture Factory Cork are working in partnership on the Cork Ignite commission by internationally renowned artist Simon McKeown. A major new arts commission by international artist Simon Mckeown in Cork city, Ireland as part of Culture Night 2015 on Friday 18 September. 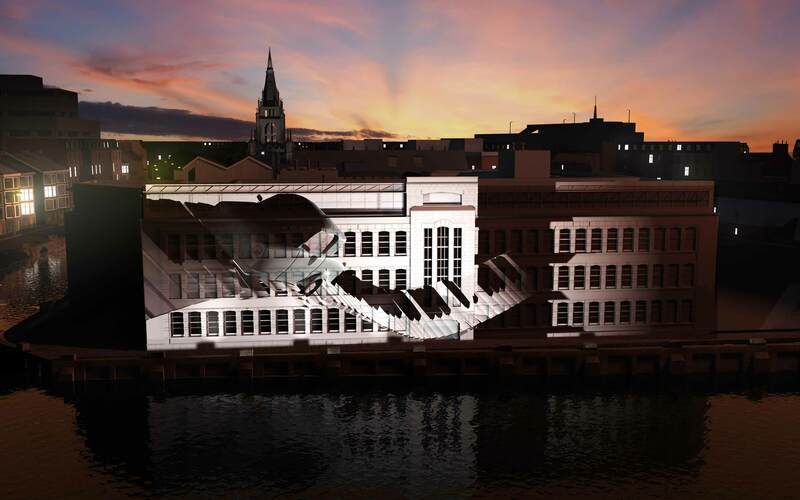 The huge facade of the Cork College of Commerce will be brought to life through wild 3D projections using state of the art technology and an accompanying music score. Simon has already been working over the last 2 years with members of the disability community in Cork, through Suisha Inclusive Arts at COPE Foundation and SoundOut in the creation of this artwork. 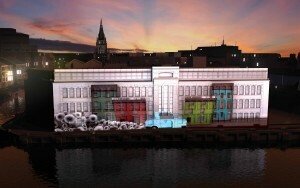 Cork Ignite is commissioned by Cork City Council as part of Ignite. 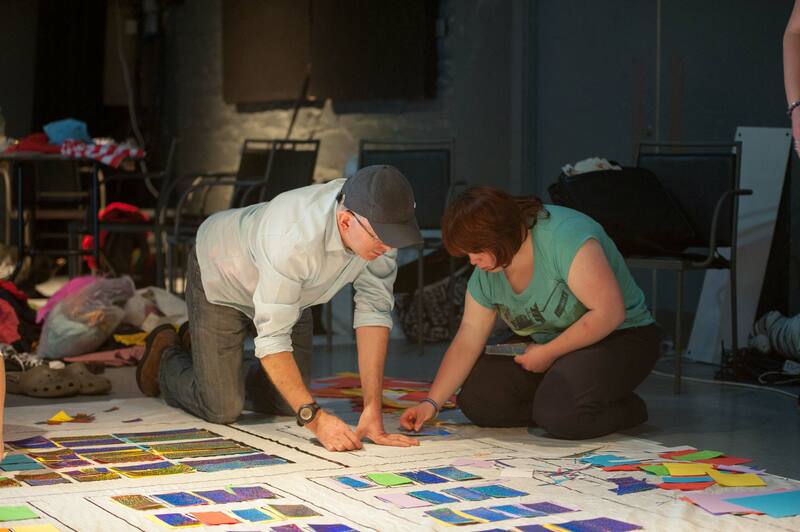 Ignite is managed by a unique partnership involving the Arts Council, Arts & Disability Ireland (ADI), Cork City Council, Galway City and County Councils, and Mayo County Council. Ignite represents the largest ever investment in Ireland’s arts and disability sector and inspired by the success and impact of Unlimited 2012, the UK’s largest ever programme celebrating arts and culture by Deaf and disabled artists. As darkness falls, join us for a major outdoor event by the river as the front of Cork’s College of Commerce is brought to life with wild 3D projections and accompanying music. Live audio description of the event to be broadcast on UCC98.3FM (on air from 7pm). Cork Ignite welcomes people with disabilities. Audience Advisory: Please be aware that there will be some flashing lights. Please dress appropriately for outdoors. Please note that Union Quay, Morrison Quay and Copley Street will be closed.